Abundant windows and high ceilings create a relaxed atmosphere in this new house in Winchester, Massachusetts. 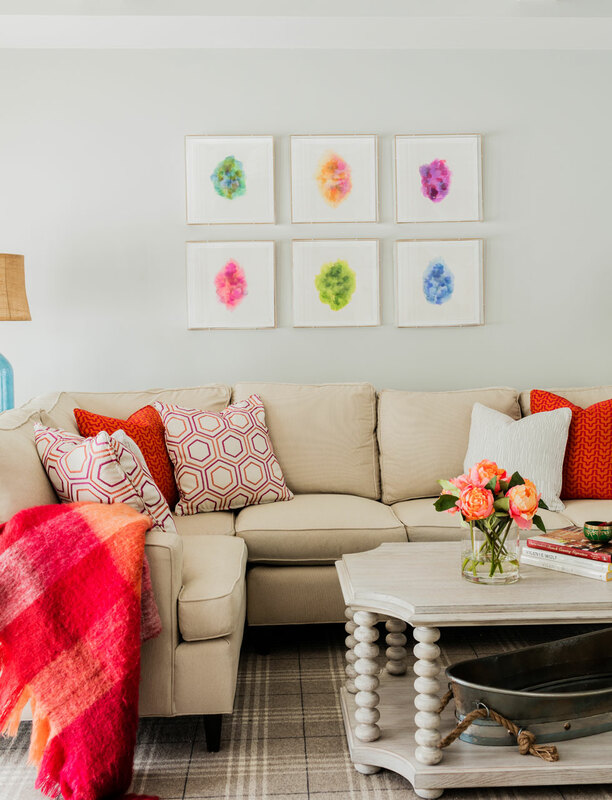 The homeowner loves bright, big pops of color and elements that have an Old World vibe. 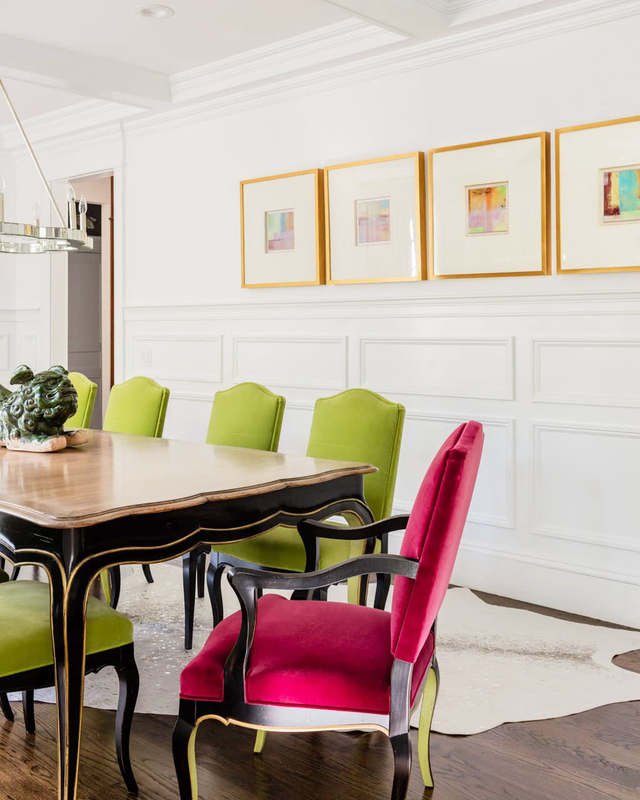 The space has a welcoming appeal with vibrant patterns, a mix of materials, and eclectic accents that make everyone, including the family dog, feel very much at ease.